ISN’T SHE LOVELY? 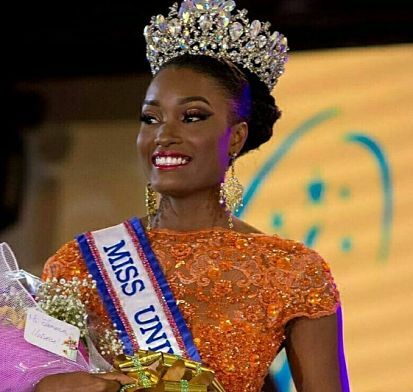 On Saturday night, at exactly 11:18 pm, the name Davina Bennett echoed throughout the Grand Ballroom of the Jamaica Pegasus Hotel as this year’s winner of the Miss Universe Jamaica title. Wearing the sash Miss D’Marie Institute, Bennett is a 21-year-old chocolate beauty, who stands at 5-feet-nine-inches and sports a neo-soul afro. In addition to a wardrobe valued at $1 million, a cash prize of $300,000 and free year-long membership at the Spartan Health Club, Bennett’s prizes included a travel insurance package courtesy of Axia Insurance, a weekend for two at a north coast-based all-inclusive resort, jewelry from Diamonds International and several gift packages. As for her runners-up, second place went to 27-year-old Jennae Jackson (Miss Lawe Insurance Brokers); Sara-Jade Kow, 23 (Miss Afrostar Traders Ltd) took third; Jodiann Harper, 27 (Miss Matt Corp & Eco Power) came in fourth, while Miss Curves’ Adrianna Byran, 28, rounded out the top five. 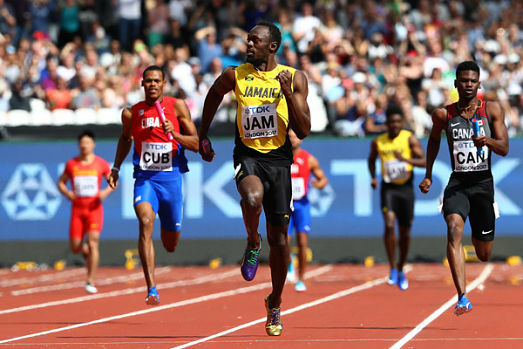 TALK THAT TALK: Jamaica’s got options! Before long, the area code 658 will be available to local phone users, in addition to the original 876 code. According to the Office of Utilities Regulation (OUR), the decision to introduce a second area code was arrived at in anticipation of the growing demand for numbers over the next 25 years. At the same time, as of May 31, 2018, Jamaicans will have to dial 10 numbers (3-digit area code + 7-digit number) when making calls. “We want persons to get in the habit of dialing 10 numbers,” explains Elizabeth Bennett-Marsh, Public Education specialist at the OUR. “It’s a behaviour change we want people to get used to.” In spite of these impending changes, the OUR has moved to assure the public that there will be no increase in telephone charges. SPECIAL DELIVERY: It’s a boy! 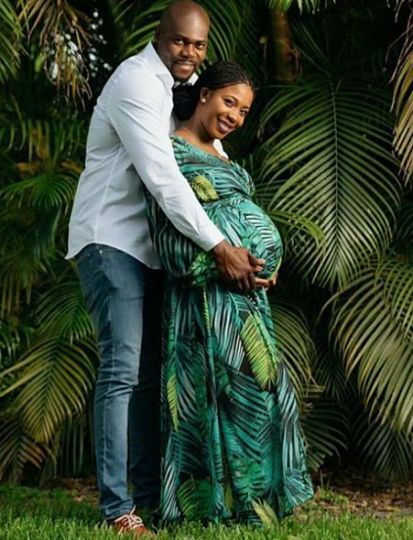 Retired sprint queen Shelly-Ann Fraser-Pryce and hubby Jason Pryce are the proud parents of a healthy son whom they recently welcomed into their nest. His name is Zyon. 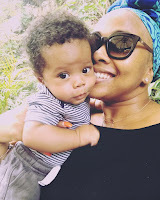 Heartiest congrats to the fab couple, who will, of course, make great parents. 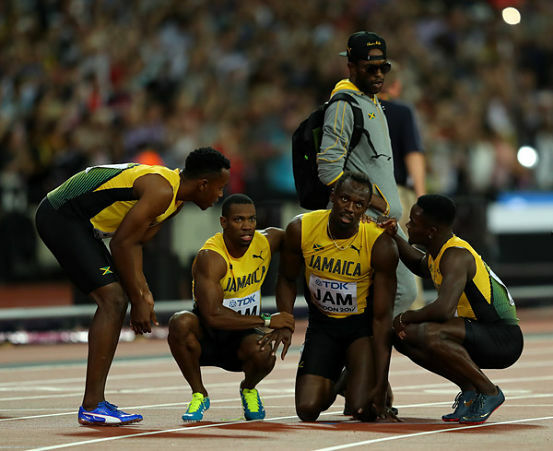 As Fraser-Pryce has said in the past, motherhood is a role she was born to play. APPOINTMENT: There’s a new Chairman at the Rural Agricultural Development Authority (RADA). Michael Stern, former MP for North-West Clarendon, has been given the nod, following approval from Karl Samuda (Minister of Industry, Commerce, Agriculture and Fisheries). Stern, who replaces Genille Attalla (who resigned in June) was a state minister in the Bruce Golding administration and was among the parliamentarians embroiled in the 2009 dual citizenship issue that dominated media headlines. COMING TO TOWN: Ladies and gentlemen, step right this way! The Suaraz Brothers Circus, Mexico’s biggest spectacular attraction (founded in 1872! 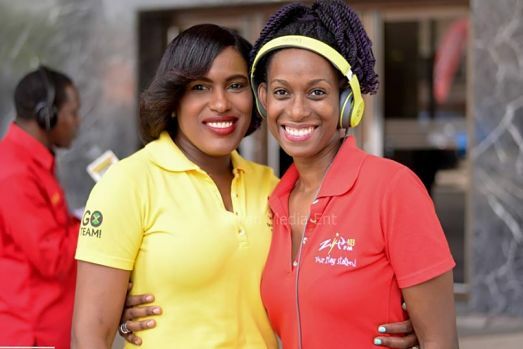 ), is bringing its big top and a host of exciting features and creatures to Kingston (following a stopover in Ocho Rios), pitching tent at the National Stadium Complex from Friday, August 25. With flyers going up all over town and gradually generating a buzz, the SBC (www.circohermanossuarez.com) promises the experience of a lifetime for the entire family. The box office opens at 10am daily. Info hotline: 347-9769. SCREEN GEM: Bob Marley’s relentlessly achieving grand-daughter Donisha Prendergast brings her charms and star power to the travel documentary Rasta: A Soul’s Journey, directed by Stuart Samuels and executive-produced by Patricia Scarlett and Marilyn Gray. Rasta is the opening number for the 2017 Cinema Paradiso Portie Film Festival (now in its 7th year), on this month at Great Huts in Portland. A national tour is also being planned. For more information call 857-7828. MAKE YOUR CHOICE: Things get pretty heated between Deer and Wilson. 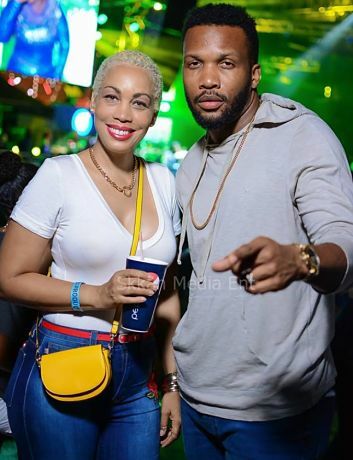 WHAT’s a prominent public figure to do when his sweetheart starts revealing intimate details of their affair on her blog, which quickly amasses an ardent following and becomes the hottest piece of gossip at the barber shop and the beauty salon? That’s the scandalous situation Isaiah Jakes (a commanding Wilson) finds himself in when Lola Stone (Deer, terrific) starts dishing about her mysterious “Mr. X” in cyberspace before a global audience. Lola, a gorgeous but needy girl, has no qualms about being the other woman (the ‘matey’ in Jamaican parlance), but it’s been two years of promises, promises and Isaiah sneaking to her apartment in the dead of night (disguised as her granny!) for hanky-panky. She feels she deserves more. 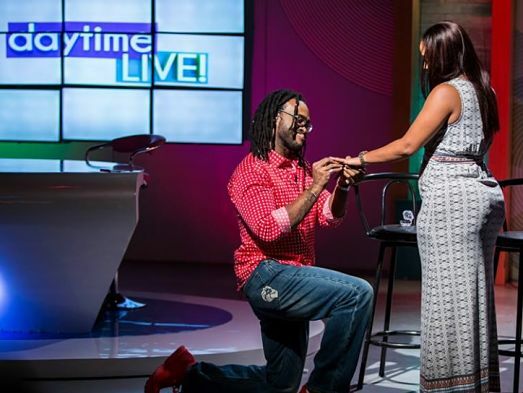 For Lola, the time has come for him to put a ring on it. Never mind that Isaiah’s been married to the oblivious yet devoted Minerva (Elise, convincing as a Sunday-School-teacher type) for 22 years. Lola gives him an ultimatum: she’s tired of waiting and he must choose between her and the wife. Yes, sparks fly and tempers flare in Patrick Brown’s The Matey Chronicles, an edge-of-your-seat, popcorn-worthy comedy-drama that’s so juicy that by the time the plot is set, you’re dying to see how the action will climax and ultimately conclude. Brown’s storytelling prowess never ceases to amaze, and though the ending could have been a bit more imaginative, The Matey Chronicles comes off as a well-spun and thought-provoking piece of work, delving into matters of the heart, attitudes towards matrimony, choices and consequences. You alternately cheer and chastise these characters as they hurt each other, make up and begin the cycle all over again. Every the brilliantly versatile performer, Campbell is the fourth wheel this time around, appearing as Ras B, Isaiah’s long-serving gardener, personal chauffeur and a shoulder to cry on when the Lola mess hits the fan. Though the play echoes predecessors like The Baby Scam, Brown and Nairne manage to bring a freshness to the production that goes in hand in hand with its tabloid appeal – and the very natural acting style that the players (all Jambiz veterans) bring to the stage. A suitably functional set design and apt lighting make strong contributions to the show’s overall success. 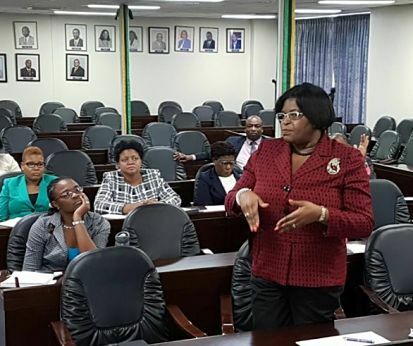 WORK TO BE DONE: Over the course of the next four weeks, some 2300 youths across the island will be employed under the National Youth Service Employment Programme. 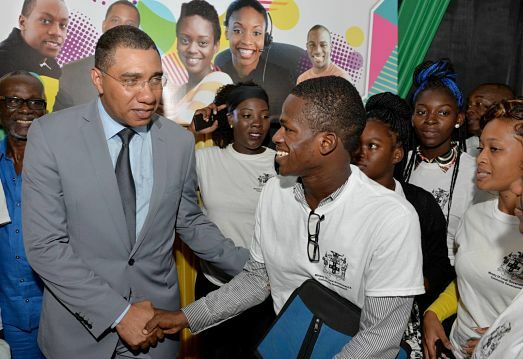 The programme, launched by PM Andrew Holness at Jamaica College on August 10, will see the young workers engaged in the auditing of street lights, identifying vulnerable persons within communities who may require assistance during periods of natural disasters and other forms of emergency, and identifying streets for which signs are missing. “Some street lights are on but the lights are dim. We want to know which street lights are out, so that we can better provide the service for the communities,” Holness told the gathering. The youth work programme is being spearheaded by the local government ministry and will run from August 4 to September 8. Each worker will be paid a weekly $8000 stipend. 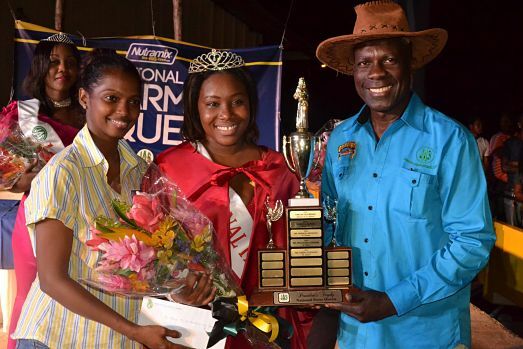 WINNER TAKES ALL: One of the highlights of the annual Denbigh Agricultural Show in Clarendon is the crowning of the National Farm Queen. This year’s winner is Trudiann Ashmead, a 25-year-old St. Thomas native currently pursuing gender and development studies at the Mona Campus of the University of the West Indies (UWI). In addition to a handsome cash prize from title sponsors Nutramix, Ashmead won a scholarship to pursue studies of her choice at the College of Agriculture, Science and Education (CASE) and will embark on a two-week exchange programme courtesy of Delaware State University. The JCDC has been winning all season long and deserve magnificent kudos for the excellent production value they brought to the Emancipendence/Jamaica 55 events inside the National Arena - from the Festival Queen coronation, Gospel Song Finals and World Reggae Dance to Mello Go Roun' and the lavish Grand Gala that people are still talking about. Does this mean the Stadium Complex has replaced the Ranny Williams Centre as the home base for the annual Emancipendence festivities? 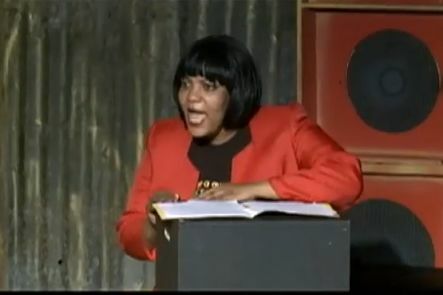 And speaking of winners, we have to give props to the original Dancehall Queen Carlene, who is still fit, fly and fabulous after all these years. 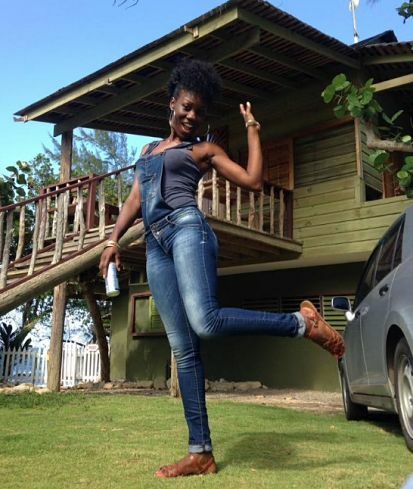 Carlene was one of the judges for the World Reggae Dance Championships, and she was a sight for sore eyes. She's still got it! While 15 Usain Bolt Tracks & Records are set to spring up across the UK over the course of the next five years, it seems Fiction (its Marketplace neighbour) is on its way back to the top of the night-life food chain, having been refurbished, reconceptualized and 'reopened' for the word-hard, play harder VIPs, to the tune of US$1 million. "The room is completely new and we're not done yet," boasts smart businessman and big spender David 'Squeeze' Annakie. > Will you be tuning to The Rich & The Ruthless, a new soap opera produced by Victoria Rowell (The Young & The Restless), set to air on TV-J? 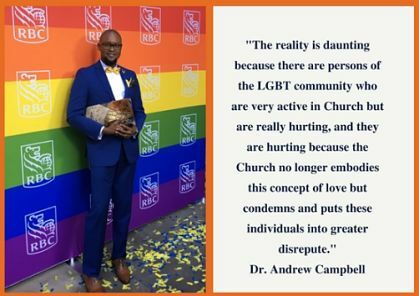 > Is the upcoming Pride Jamaica Conference an invitation-only event or will it be open to the general public? RARE BIRD: "Things I know now I'm applying them. I'm honing my craft more," says the actress, pictured below with Frenemy costar Oliver Samuels. "I don't worry. Things I know have no control over I don't let them bother me. I try to put myself at a better place at all times. That keeps me young. 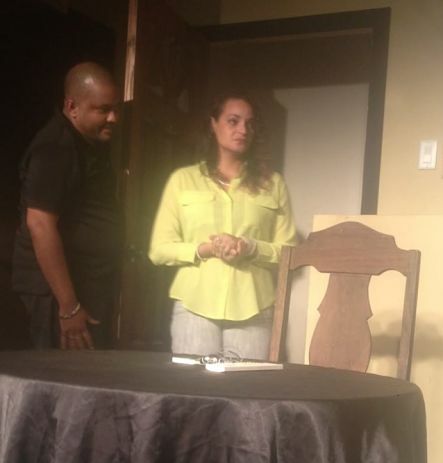 I focus on what's necessary," dishes Lakeisha Ellison, looking like a dime piece backstage at the Jamaican Shopping Club Theatre, where she is co-starring in her latest play, Frenemy, opposite Oliver Samuels, Dennis Titus and Volier Johnson. 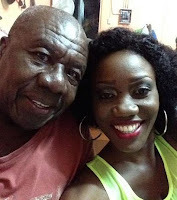 As she tells TALLAWAH, the production, which opened last month and runs for several more weeks before going on tour, is keeping her on her toes. In fact, it's made her realize some personal shortcomings. "It takes a lot out of you in rehearsals and in the show. It really gets in your brain," she says. "So I realized that I'm slacking up when it comes to exercising regularly and taking my vitamins and minerals." For this veteran actress and working mother of a teenage son, tending to her health and well-being is of paramount importance. It goes without saying. "Usually I'm the kind of person who will work out a bit in the morning, not a lot. I still do it, but I'm getting older. I like to stay healthy. I drink a lot of water because when I don't it shows on me," she explains. "I like the way I look. I love my body." With her curly diva tresses, hoop earrings and slender physique, Ellison is the very picture of secure womanhood. For her, being comfortable in her own skin has simply been a journey of self-acceptance, hard work and being principled. "I don't wear makeup unless I have a show. I don't party. I don't smoke. Staying away from those things helps you to keep your youth," notes the actress, who confesses that she's "not enjoying meat any more." "I love young people," she adds. "I have a lot of friends who I can depend on for support and I have a son, big man now, who has taught me to love unconditionally and never give up on your child." 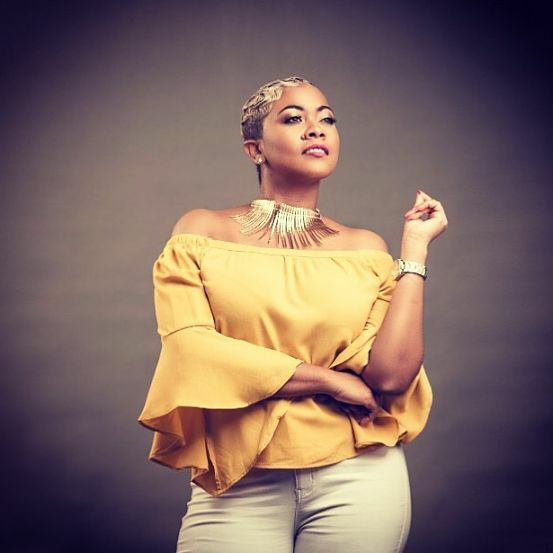 Ellison, who loves a good live performance (she enjoyed Spice's set at last month's Reggae Sumfest) has been having a solid run in local theatre, since emerging from the Area Youth Foundation and finding solo stardom. 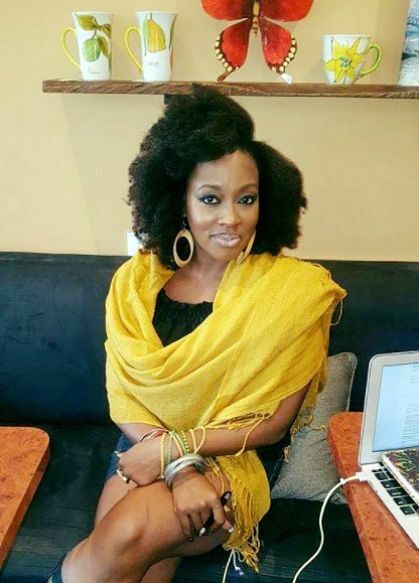 She's worked with everyone from Ellis International (He Said, She Said) to Jambiz Productions (Blind Spot) and is now doing a radio drama (Money Dirt on Roots FM) and gearing up to begin shooting a classic love story with a Jamaican twist for director Paul Bucknor and Firefly Films. 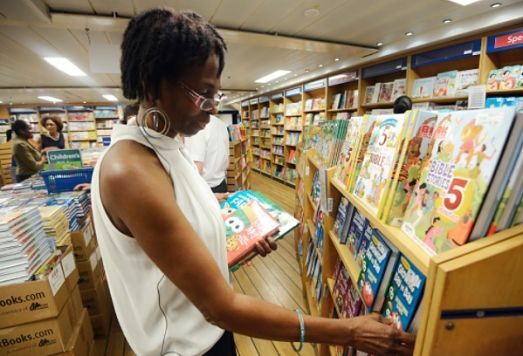 "I actually feel very good about my growth. Things I know now I'm applying them. I'm honing my craft more," says the soon-to-turn 40 Ellison. "I am comfortable with my career, but I know I have a long way to go." 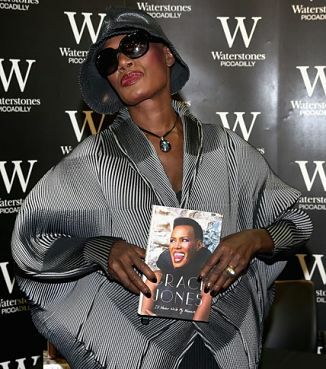 PREMIERE: Grace Jones has had quite a life, so fans and film buffs are in for a captivating cinematic experience when they take in Grace Jones: Bloodlight and Bami, the hotly anticipated biopic that gets it debut at next month’s Toronto International Film Festival in Canada. Directed by Sophie Fiennes, the film (which has a running time of 115 minutes) offers an unconventional, up-close-and-personal snapshot of Jones’ life, work and evolution, tracing her Jamaican roots (she was born in Spanish Town), personal trials and triumphs and the career highlights spanning the classic albums (including 1985’s Slave to the Rhythm) and big-screen roles (such as playing a Bond girl in A View to Kill). Speaking with the UK’s The Independent, the filmmaker noted that the project got off the ground because the famously private Jones was finally willing to let the world in. The biopic took five years to complete. “Grace had fiercely controlled her public image but made the bold decision to unmask,” Fiennes said in her interview. “The film is a deliberately present-tense experience.” The Toronto International Film Festival (TIFF) is scheduled for September 7 to 17. Visit tiff.net for details. APPOINTMENT: With his two-decades-plus experience in developing and leading successful economic and regulatory policy initiatives in the public sector, Everton McFarlane seems ideally cast in the role of the Financial Services Commission’s (FSC) new Executive Director. The appointment took effect August 2. As ED, McFarlane will lead the team’s mandate to deliver a balanced, consistent and effective regulatory programme “that will inspire confidence in Jamaica’s financial system.” A former Financial Secretary at the Ministry of Finance, McFarlane (above with finance minister Audley Shaw) has played key roles in driving the development of comprehensive frameworks on tax policy reform and financial services regulation. 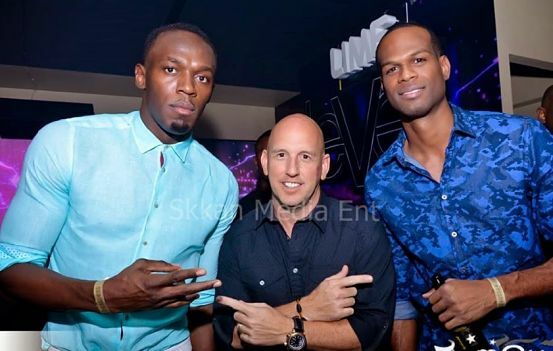 A UWI Mona graduate, he holds Bachelor’s and Master’s degrees in Economics.